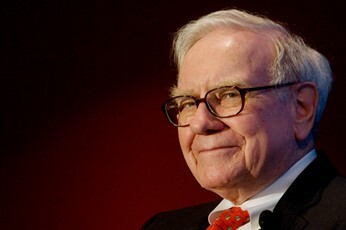 Insurance magnate Warren Buffett has revealed that the anonymous bidder who agreed to pay $3,456,789 in a charity auction to have lunch with him is a woman. The winning bid, which was part of a five-day auction on eBay that ended last week, matched one made by an anonymous bidder for the same amount in 2012, which was the most expensive single charity item sold on eBay. “The one thing I will tell you, because we’re in this crowd: It’s a woman,” the Berkshire Hathaway chairman said. The winner and up to seven friends can dine with Buffett at the Smith & Wollensky steakhouse in midtown Manhattan, Fortune website reported. Diners will be briefed that all topics are fair game, apart from where Buffett, otherwise known as the Oracle of Omaha, will invest next. Proceeds go to Glide, a San Francisco charity that provides food, healthcare and other services to people who are homeless, poor or struggling with substance abuse. Glide is run by the Rev Cecil Williams, who said Buffett’s involvement had attracted more interest in the charity and helped it fund its $17 million annual budget. Buffett has raised roughly $23.6 million for Glide in 17 auctions since 2000. Previous winners include at least one woman. In 2009, Courtenay Wolfe of Canada’s Salida Capital prevailed with a $1,680,300 bid. Buffett described Glide as a ‘remarkable social organisation’ and encouraged higher bids in 2017.